The place for battery compartment must be compact, easy to operate, dustproof and rugged to withstand battery exchange procedures. If you often face such a situation, check the video and learn more about Keystone's broad selection of battery clips, contacts, holders and straps that are designed with leading edge technologies to accommodate all major manufacturers' battery cells and the latest chemical technologies. 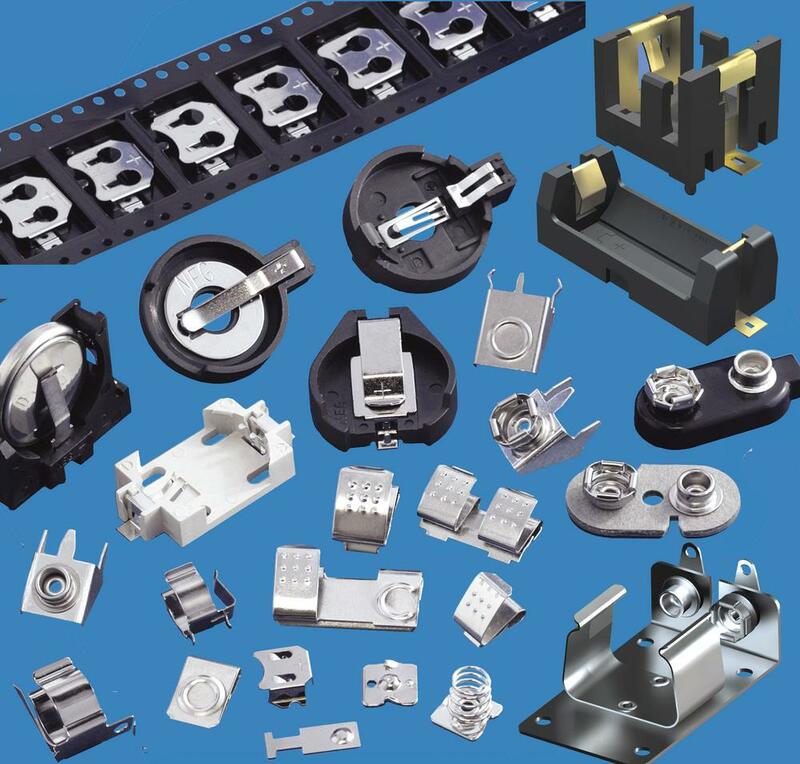 (THM) Thru Hole Mount & (SMT) Surface Mount retainers are available for batteries with diameter of 4.8mm, 6.8mm, 11.6mm, 12mm, 16mm, 20mm, 23mm and 24mm. They are designed for memory back-up and stand-by applications. These contacts permit quick and easy coin cell replacement and installation. They eliminate "soldered-in" cells in computer, video, telecommunication and similar PCB based applications. They reliably replace soldered batteries and moreover, there is no need to use any tools to replace them. 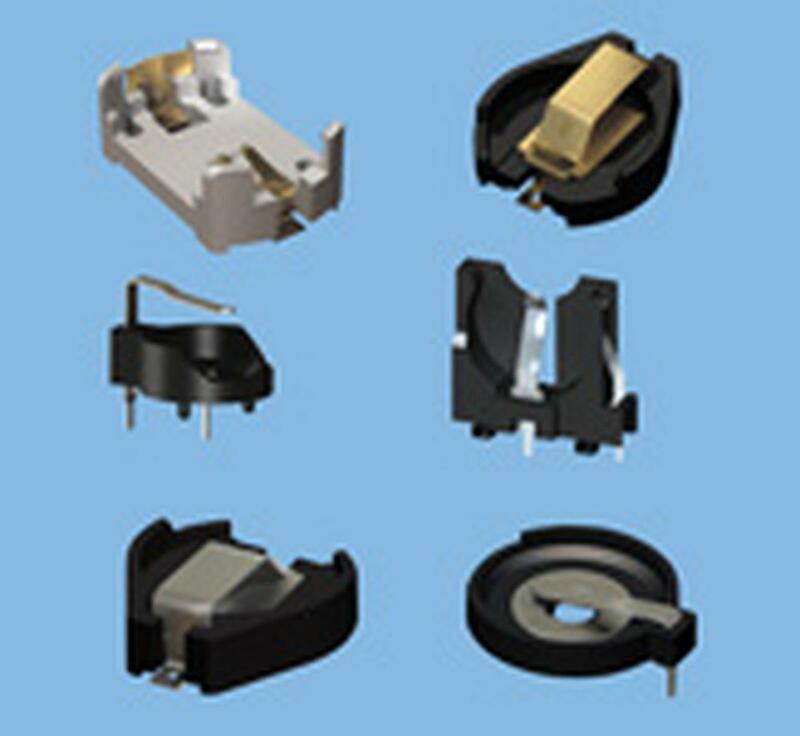 (THM) Thru Hole Mount & (SMT) Surface Mount battery holders available for 12mm, 16mm, 20mm, 23mm, 24mm and 30mm diameter cells. This group of holders includes THM and SMT holders or holders with wire leads for A, AA, AAA, 1/2AA, CR2, CR123A, 1/3N, C, D, N, 12 Volt, 18350, 18650, 26650 batteries. 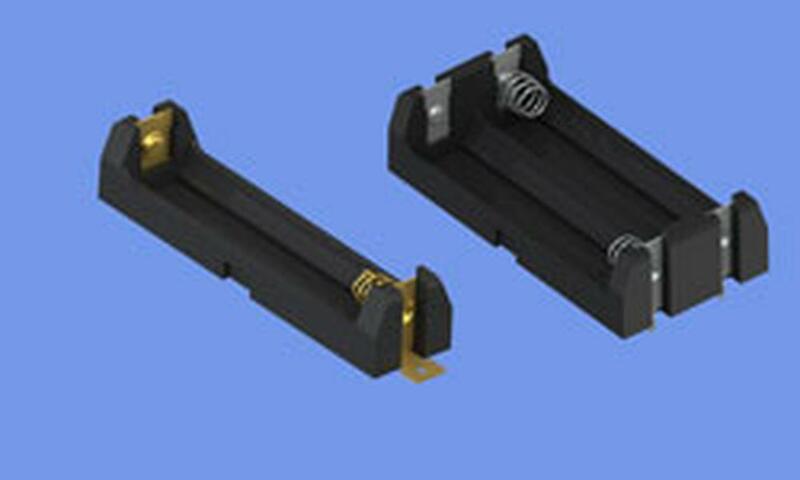 - Heavy Duty Holders, solder lugs or PCB mount holders. 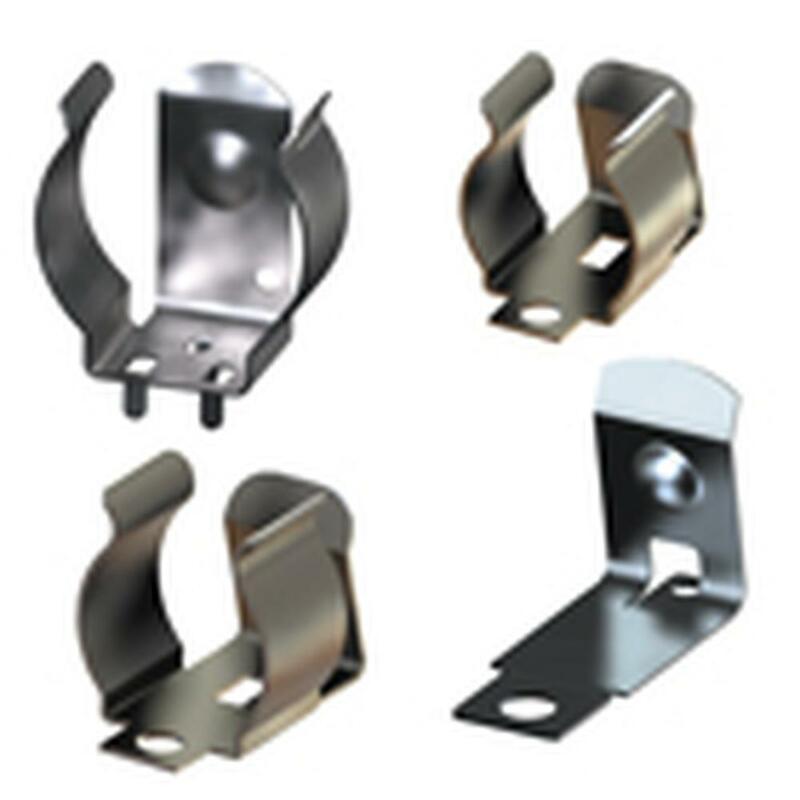 These clips are manufactured using spring steel and are designed to securely retain cells and withstand shock and vibration. 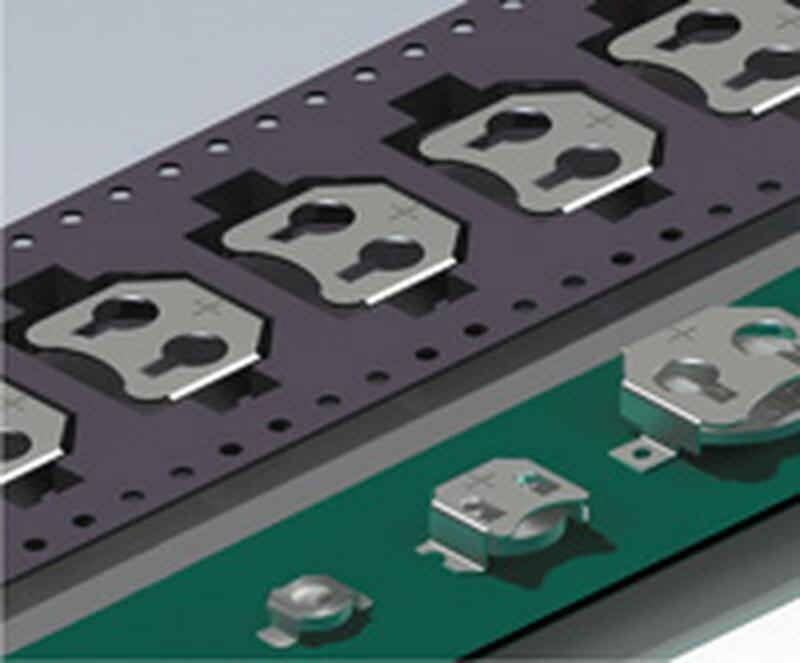 SMT clips feature a "Flow Hole" SMT solder tail designed to increase joint strength. Low temperature solder versions which are Matte Tin Plated are also available. THM clips are ideal for top-side board mounting.